Healed. Took me about 15 hours to complete. 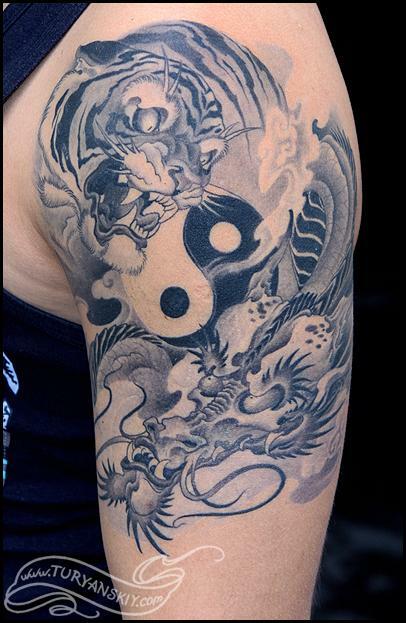 The idea was quite banal, plus the customer wanted to include tiger and dragon with their full bodies and keep the ying yang thing but making the tattoo bigger wasn't an option for him. I'm glad I had talked him into just heads after all. The design took me a while, though.